Best of the week: all the news and reviews 21.12.13 | What Hi-Fi? 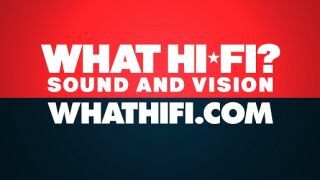 This week on whathifi.com we've covered Amazon and Netflix's attempts at introducing 4K streaming to TV sets. We've also reported on Pioneer's possible return to the UK TV market and the Government's thoughts on the upcoming digital radio switchover. Reviews were plentiful this week with the highlight being our look at Sony's PlayStation 4 games console. A review of the JBL Charge speaker and the Cyrus Mono X 300 Signature power amp rounded up our look at the latest hi-fi products. And don't forget, the January issue of What Hi-Fi? Sound and Vision is available online and in newsagents, filled with the latest news and reviews of products in the AV market. In an effort to help accelerate the 4K push, both Amazon Studios and Netflix will be broadcasting their shows in the eye-watering Ultra HD format. Netflix confirmed that applicable TVs will be able to show the next season of House of Cards in 4K. If you're wondering how this will be done, Netflix has said that it will using the new, more efficient compression format, H.265, which will be able to stream 4K images at a similar bit-rate to current HD broadcasts. Amazon will be ploughing a similar furrow with its own TV shows, and like Netflix it will be shooting some of its shows in native 4K. Rumours suggest a 2014 launch is likely for both companies. It's something of major step up for television as 4K imaging has been the preserve of the film studios, and it remains to be seen whether consumers will fork out several grand for an increase in image fidelity. Still, it's a shot in the arm for 4K which is gradually building up more customer awareness as we enter the new year. "We are not ready for radio switchover." Those were the words of Communications Minister Ed Vaizey at the Go Digital Conference in London, as he put forward the case that the Government still needed time to put in place the proper conditions for the switchover to DAB. 2015 was the initial date, but this delay may push a complete switch to 2017 or possibly even 2020. Digital listening made up 35.6% of all radio listening, a slight decline on previous months as the Government looks to reach its criteria of 50% for a switchover to happen. Not a brand-new story, but an update on what we reported on a few weeks ago. Pioneer has not been able to confirm reports as to whether its new TV sets will be available in the UK. The three TVs (40, 46 and 55in) are due to go on sale in Nordic countries this month, but according to a Pioneer spokesman who spoke with us recently, "nothing has been confirmed for the UK yet". We'll keep you updated if Pioneer's stance changes. Our belated review of the PlayStation 4 is now up and in case you didn't know already: it's really rather good. While there are some glaring omissions for a piece of home electronics in 2013, it's how the console applies itself as a gaming system where it really gets going. Much like its competitor, Microsoft's Xbox One, it's not the finished article yet but it might just be closer to achieving its aims. We felt that the original X 300 power amp was a great piece of kit by Cyrus. Now it's come up with the Mono X 300 Signature in the year of the company's 30th birthday and we have to say, this is another brilliant amplifier. It may look a bit plain when compared to its rivals at this price, but the performance from it is exceptional. It's that rare thing: a sequel that's better than the original. Part of our recent round-up of wireless speakers, the JBL Charge is one impressive sounding performer. It's punchy, energetic sound gives it a character that some Bluetooth speakers fail to muster, and while the treble might be a problem for a few, we still like how it makes our music sound.